— Three Americans are in a position to get a truly unique view of the "Great American Eclipse." Randy Bresnik from Kentucky, Jack Fischer from Colorado and Peggy Whitson from Iowa won't be in the path of the totality, where, from the vantage point of Earth, the moon aligns with the sun, but with their three Italian and Russian crewmates, they will witness the solar eclipse from orbit on board the International Space Station. 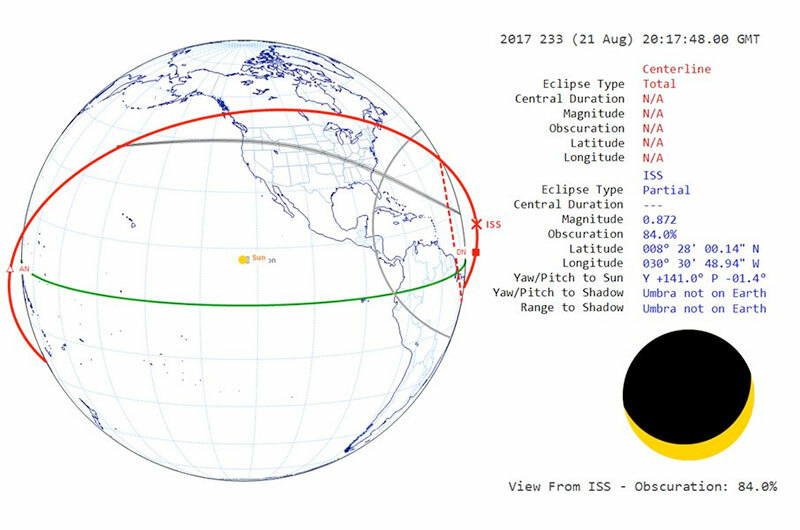 "We get three different looks at the eclipse," said Bresnik in a NASA interview previewing the total solar eclipse that will span the United States from Oregon to South Carolina on Monday (Aug. 21). "Because we are going around the Earth every 90 minutes and about the time it takes the sun to cross the U.S., we'll get to see it three times." 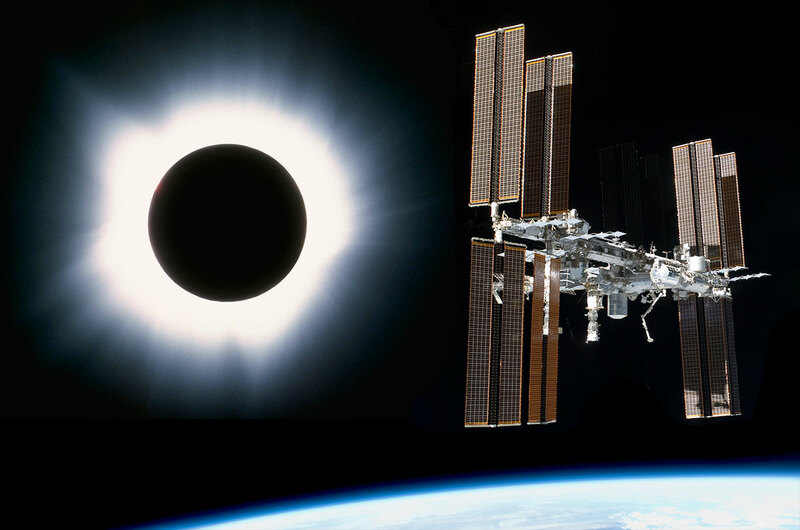 In the almost 60-year history of human spaceflight, only 17 people have witnessed a total solar eclipse (as visible from Earth) from space. Bresnik, Fischer and Whitson, together with their Expedition 52 crewmates Paolo Nespoli, Fyodor Yurchikhin and Sergey Ryazanskiy, will now join that club. "It would be neat to see it from the ground, but I think I will also cherish the memory of being able to see it here from orbit," said Bresnik. 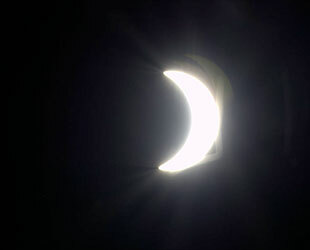 The space station crew's first opportunity to see the moon partially block out the sun will come before the total solar eclipse begins for those on Earth. "The first time will be just off the west coast. 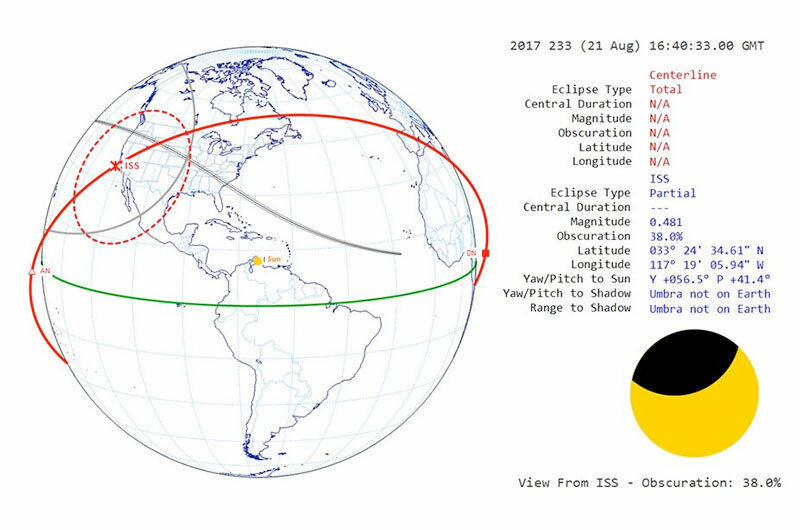 We will cross the path of the sun and we will have about a [38 percent] eclipse looking up from the space station," said Bresnik. The orbiting laboratory will cross from the western United States to southeastern Canada as it traverses through he moon's penumbra. 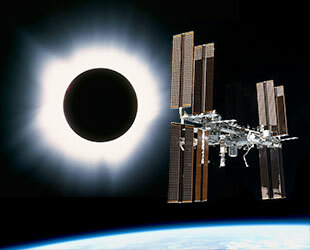 The six astronauts and cosmonauts will view the eclipse from station's upward-facing (away from Earth), or zenith, windows. 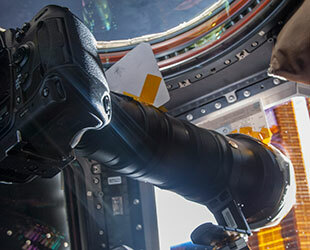 For the second pass, Bresnik and his crewmates will move to looking out the Earth-facing, or nadir, windows, including those in the space station's Cupola. "As we come around the Earth again, this time on the second pass, we will actually crossover. 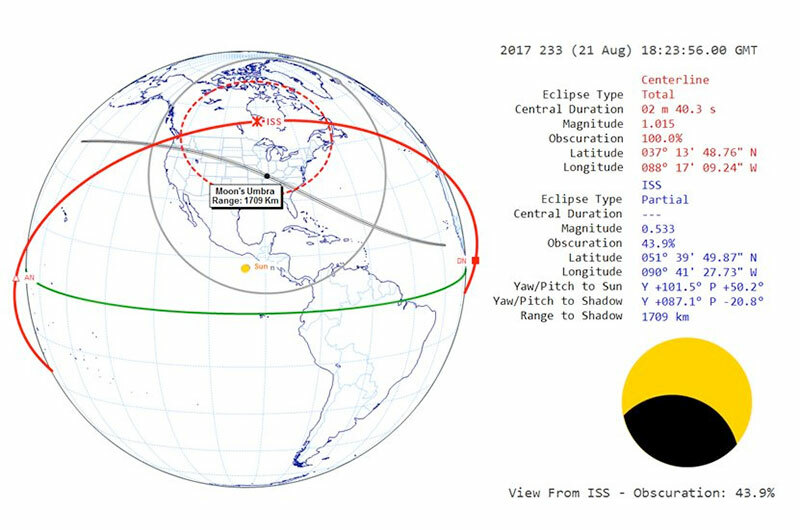 We will be north of Lake Huron in Canada when we will be able to see the umbra, or the shadow of the moon, of the eclipse on the Earth," he described. "[Mission Control is] telling us around Tennessee-Kentucky, the western side of those states, that area, that we will be able to see it close to the horizon." "We have got a couple of thousand mile range that we can see from the Cupola and from the windows on the space station," Bresnik added. Only the station's crew will be high enough to see the full shadow of the moon cast upon the Earth. They will see the umbra moving through southern Illinois and southwestern Kentucky as they fly over southern Canada. 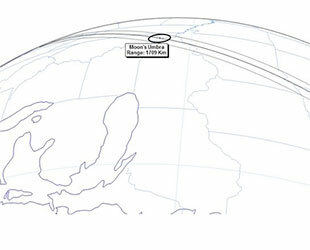 At the nearest approach, the station will be just south of the Hudson Bay while the shadow is located in southwestern Kentucky, just over 1,050 miles (1,700 kilometers) away. It will easily be visible near the horizon. 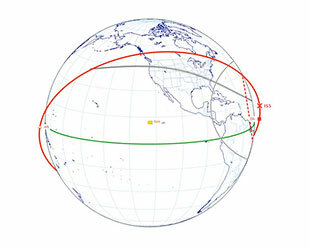 If the crew looks towards the sun during the second pass, they will see a partial solar eclipse with 43.9 percent of the sun covered (at maximum). 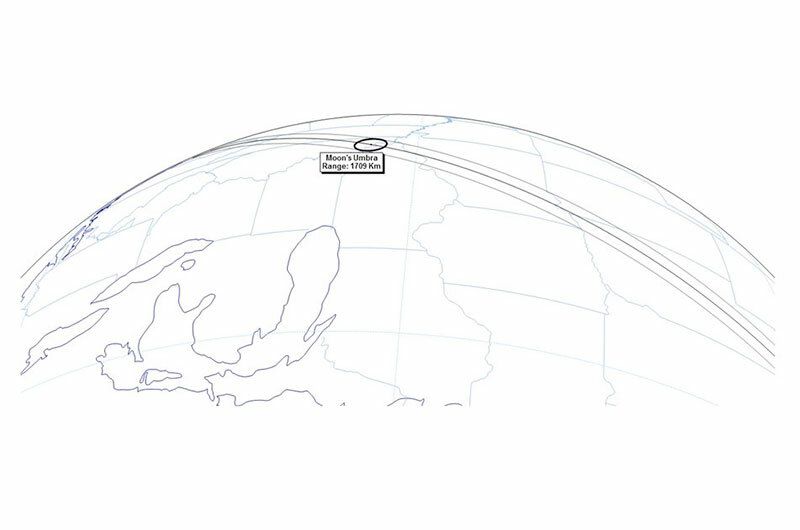 "On the third pass, it's just off the east coast," said Bresnik. "We will come around one more time and from the station side [and] we'll see about an 85 percent eclipse of the sun looking up." 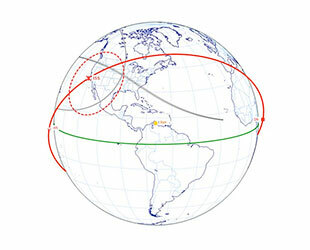 The moon's shadow will not be visible on their third pass since it will have lifted off the Earth's surface a few minutes earlier. On the upside, the crew will see the eclipsed sun as it sets behind the atmosphere. The Expedition 52 crew's three chances to see the eclipse will come at about 12:40 p.m. EDT (1640 GMT), 2:24 p.m. EDT (1824 GMT) and 4:17 p.m. EDT (2017 GMT). During each pass, they will take photos and video, which they will then share with everyone on the ground. 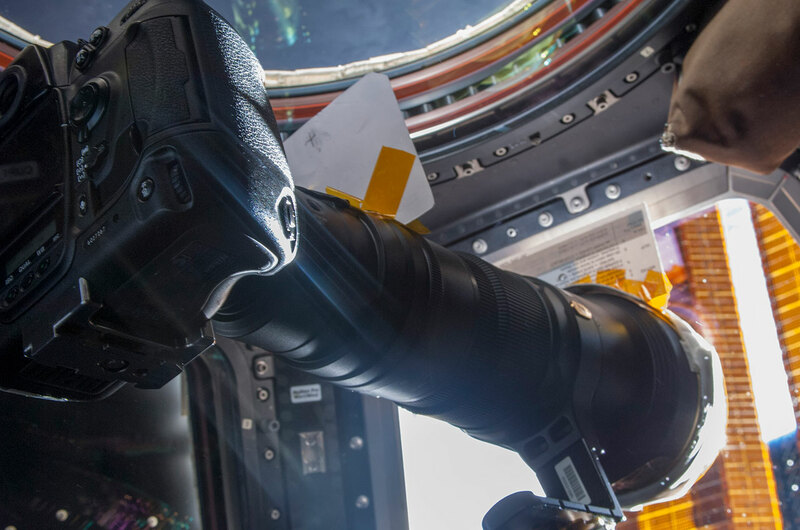 And just like on Earth, the astronauts will be using special filters to view and photograph the eclipse. "We have got specially-equipped cameras that have these solar filters on them that allows us to take pictures of the sun," explained Bresnik. 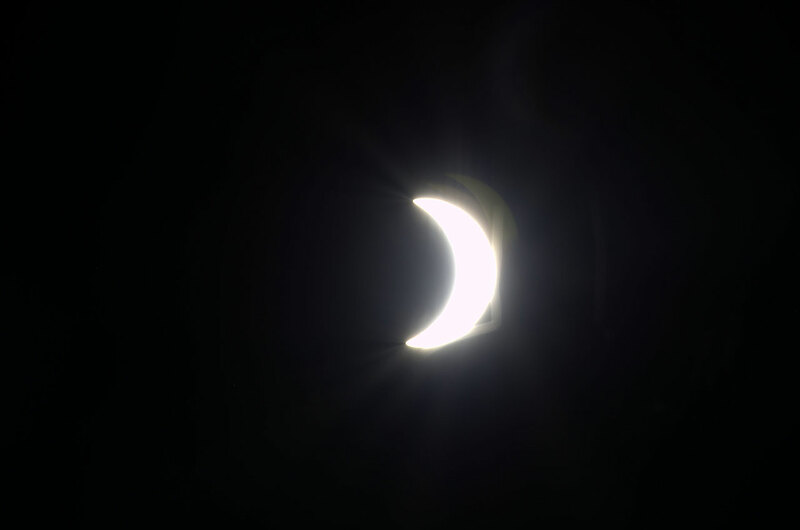 "[The filter] may look like a solid piece of aluminum foil, but it is actually perforated with tiny holes to let just enough of the light through to our cameras to be able to see the eclipse." NASA, which will be providing coverage of the eclipse from sites across the country, as well as collecting imagery from high-altitude aircraft and balloons, will air what the station's crew captures on its website and television channel. The first views from space are expected to be received on Earth soon after the space station's second pass, after the astronauts and cosmonauts watch the shadow darken the planet below.